John Podesta, Clinton’s campaign chairman, had his emails hacked, and a document provided to Clinton about cannabis legalization was given to WikiLeaks. America is on tenterhooks waiting for this presidential race to come to an end, and voters are making a point to stay more informed than ever. From the lies and lost emails candidate Hillary Clinton is accused of, to the “locker room” talk and racial comments made by Donald Trump, it almost seems neither candidate is fit to be the leader of the Free World. However, one of these individuals will be the next President of the United States. A new set of hacked emails released on WikiLeaks is giving us a glimpse at where one of them appears to stand on cannabis reform. Throughout the presidential debates, neither candidate has spoken of their plan to reform cannabis. Neither candidate has even mentioned the issue during the most watched hours in television history, but instead, seem to skirt around the issue. In some smaller rally gatherings, comments have been made that seem to play upon whatever the crowd would most likely want to hear. However, no official statements have been made, until now. Recently, Clinton’s campaign chairman, John Podesta, had his emails hacked. A preparation document that he provided to Clinton directs her on how she should respond if the topic of cannabis legalization or decriminalization should arise was discovered, and given to WikiLeaks. While YOU should avoid saying marijuana accounts for a signification portion of the U.S. correctional population, or a significant portion of those behind bars for drug offenses, it IS correct that there are hundreds of thousands of arrests for marijuana crimes, and that there are thousands of people serving (some) time for marijuana crimes – many of whom would likely be better off in their communities. Like the Obama Administration’s current approach to the criminal enforcement of federal marijuana laws, YOU would not intervene in states that are reforming their own marijuana laws, as long as those states adhere to certain federal priorities. These priorities include not selling to minors, preventing inter-state transport of marijuana, and keeping organized crime out of the industry. It would appear that she doesn’t plan to make any changes to the current laws. Meanwhile, it would also appear that her campaign does understand the significant problems, like jail sentencing for victimless crimes, facing the current policies. However, during talks with Big Business and Wall Street, Clinton has a different story completely. She has made promises to protect their interests and keep cannabis illegal at all costs. In an attempt to quell the worries of these huge campaign donors, Clinton will say whatever she needs to gain their support. The same is true of statements she makes at rallies. 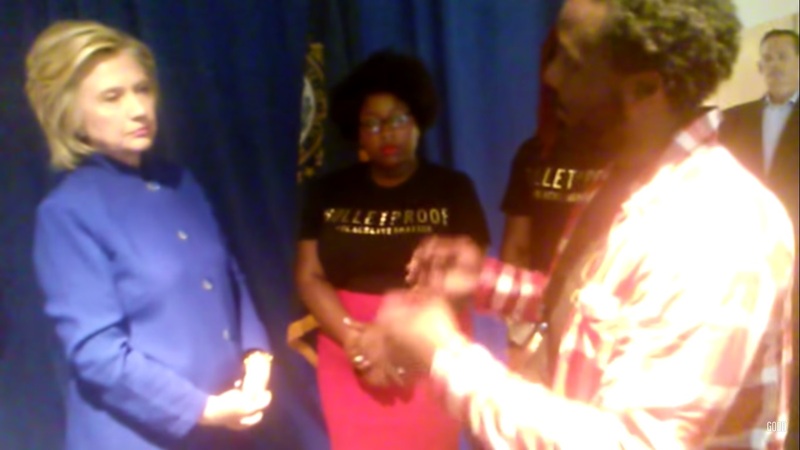 During one gathering with the group Black Lives Matter, the presidential candidate spoke about the importance of decriminalizing, despite being unsure of exactly how to do that. From my perspective, we do need to look hard at decriminalizing behavior that is not harmful, that is not leading to violence, and try to figure out how best to do that. I’m not sure exactly how you would implement it and how – you know, because remember, most of the laws you’re talking about are state and local laws. I mean, the federal government can encourage, can make suggestions, can provide incentives, but most criminal law, most policing, all of the problems that we’ve been discussing are really controlled at the local and the state level. So you have to have a buy-in by others, not just by the federal government. Whatever the outcome for this election ends up being, it certainly doesn’t appear that cannabis reform is of major concern.